My name is Heidi Nelson; I am married with 2 children a 20 year old boy and an 16 year old girl. I have worked at JEEC since 1999. 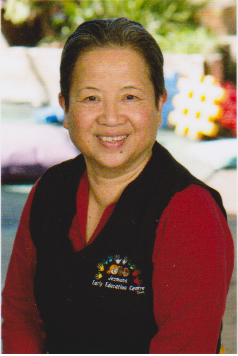 I have been in the Early Childhood sector for 25 years. I have completed my Bachelor in Early Childhood through the University of New England and I’m very excited about accomplishment. 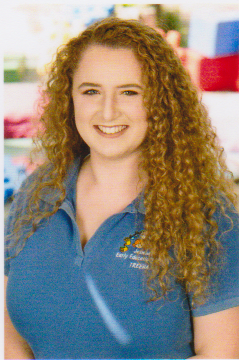 I am currently working as Room leader in the Preschool Room Monday-Friday and I am the Assistant Director. What do I believe in? I believe there is nothing more precious in our lives then our children, and nothing more rewarding then watching them grow and develop through their Early years and then being prepared and ready to go off to kindergarten. Another rewarding part of my role as an Early Childhood Educator that cares for your child is the wonderful relationships that are formed with you “the family”. 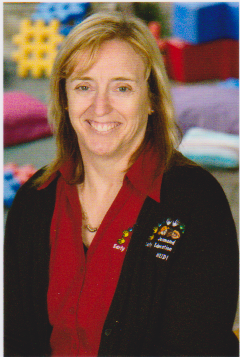 My name is Kim Maguire I’m currently the Room Leader and Educator in the Early Learners Room. I have worked at JEEC since 2004 Full Time. During this time I have had the opportunity to work with children of all ages from 0-5 years, therefore in each of the rooms at the centre. I continue to learn and be inspired in my role, and have had, and continue to work with many great educators that bring with them a lot of experience in working with children. I believe that each child is a unique individual, and that all children develop through their own pattern of growth and development. 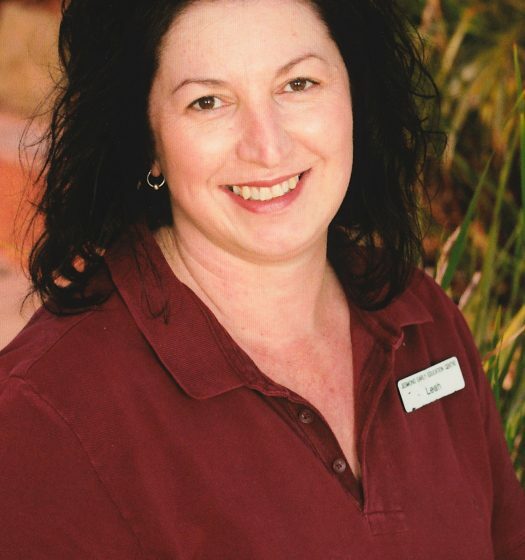 My name Kim and I work as the Service Cook, working Monday, Thursday and Friday each week. I enjoy cooking and interacting with the children, I’m loving it when they come up to say hello each day and have a little chat. I live on a rural property with my husband and 2 teenage daughters. We love the way of life on the farm and are lucky enough to have a few chickens ,cows and sheep on our property. I have worked in catering for many years and for 4 years and was the Canteen manager at my childrens primary school, a role which I enjoyed and where I became used to cooking for a variety of tastes and dietary requirements. I look forward to meeting both you and your child as I go about my day at the centre. My name Is Leah. 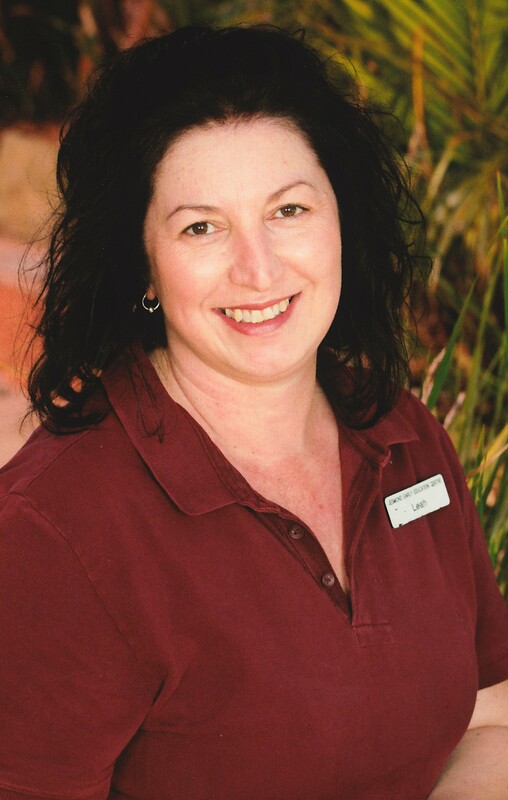 Prior to joining JEEC i was Canteen Manager at my childrens primary school for 6yrs where I completed my Canteen Management Certificate and during this time and also studied Part-Time at TAFE doing a Patisserie & Restaurant Desserts Course which helped expand on my love of cooking. In 2012 I again Studied at Tafe – Cookery In Childrens Services – which covered areas such as Childrens Nutrition,Dietary Requirements, Cultural Foods & Workplace Hygiene. I have a lot of experience preparing meals for children with special dietary requirements as I feel it’s most important where possible to make them their “version” of the dish that the other children are eating as this helps them to feel included and not miss out on things due to their special requirements.It is my belief that food should not only be nutritious & tasty but also fun for children so that meals times become a positive experience and that they learn the benefits of healthy eating to carry with them into adulthood. 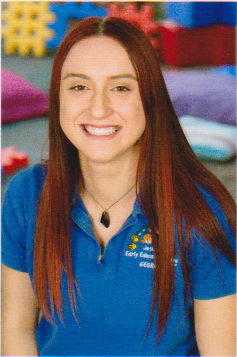 I have complete my Childcare Certificate III and currently studying my Diploma in Children’s Services so that I could work in the rooms with the children which is something I very much enjoy. I look forward spending time with the children on the days I work. My name is Rochelle. I am Diploma trained and currently working full time in the Early Learners Room. I have been working at JEEC since 2009 where i completed my Certificate III. In regards to my beliefs in childcare, i believe the first 6 years of a child’s life is crucial, the time for self-discovery. Over the years, Working in this environment allows us as educators to experience all the unforgettable moments first hand and assist the children to explore their emerging interests, talents, skills and understand the world they live in, in their own way with a little help. Creativity would be my personal strength in Childcare, as I’m forever looking for new ways to change the environment and give the children something new to explore. I’m passionate about travelling and the great wide world we live in. Teaching the children about all the places I’ve been, things I’ve seen and the languages I know is a very special thing! Hi my name is Sophal Sou and I have worked at JEEC for almost 33 years. I began working here when the centre first opened in 1985. I have completed my Certificate III in Children’s Services something I am very proud of. I really enjoy my job especially being so hands on with the children playing and educating them. I believe children learn best in a supporting and engaging environment. I enjoy sharing my home culture with the children and enjoy learning about theirs. I often share my talent in cooking in both small and large groups. Over the years I have built long lasting relationships with the families at the centre and find this very satisfying. 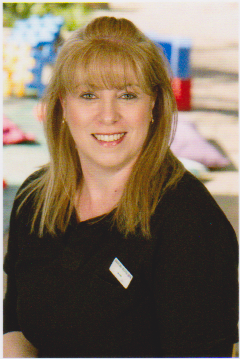 My name is Sue Cowling and I love being part of the team at Jesmond Early Education Centre. 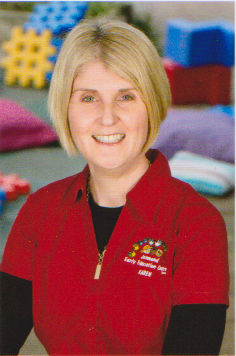 I have a passion for educating and nurturing children which is the reason I have worked in children care for the past 5 years. 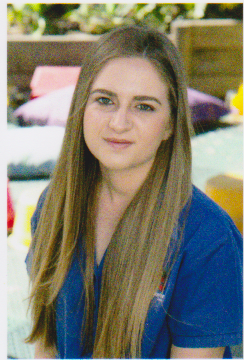 I am an employee at Jesmond Early Education Centre as a diploma trained, full time team member. 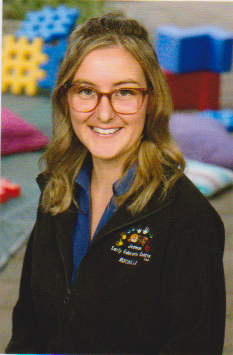 I am passionate about my career in childcare and feel I provide an education, fun, compassionate and empathetic environment for the children at the service where the children learn and play. I believe in following the curriculum “Belonging, Being and Becoming” which forms the Early Years Learning Framework as well as following the 7 National Quality Standards. I believe the first 5 years in a child’s life is critical to learning and that children need to feel that they belong. Children should feel safe, secure and respected. As a childcare worker I guide children in their social wellbeing as well as their emotional and physical wellbeing. Children develop a range of skills whilst being happy and inviting environment with adults and peers who accept the “whole” Child as unique individual. I believe all children are unique and should be all treated equal. It is important to communicate with families to gain knowledgeable information about their child’s/children’s interest, family life, beliefs, culture and tradition. Each child and their family shoud be respected, embraced and involved as it is important to a child’s overall development. I support children’s development and ongoing learning. I am currently enjoying life as a new mum, on maternity leave. I have been with JEEC since 2018, where i gained my Certificate III as a trainee. I’m happy to come back in a job sharing position with Sophal. You will find me on Thursdays and Fridays, in the Early Development Room. Hi my name is Candice Darcy and I have worked at JEEC since 2008 and am currently the room leader in the Early Development Room. 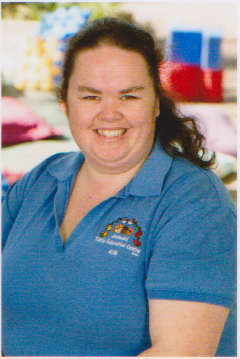 I hold a Diploma of Community Services: Children’s Services which I achieved through TAFE NSW. 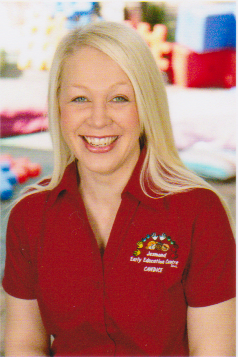 I have been working in the child care industry since June 2005. When I am not working I enjoy spending time with my husband Aaron, my family and our cocker spaniel puppies Jett and Gus. I enjoy walks along the beach, going to the footy, movies, coffee with girlfriends but I especially love shopping with my mum for shoes, dresses and handbags!! I also enjoy travelling and so far have seen parts of Europe, South Africa, Fiji, Vegas, Hawaii and parts of Australia. I look forward to many more overseas trips. I believe children have the right to a safe and happy childhood. I believe children learn best in a calm and nurturing environment, where they are free to explore endlessly and where educators are there to scaffold when required. Day care is a place where children can participate in activities beneficial to their own interests. When children are here they can learn, play, build relationships and social skills and they are educated each day through hands on play and intentional teaching. I really enjoy my job, getting down on the children’s level to take part in lot of exciting experiences with them. My greatest satisfaction of the job is seeing how much each child grows and develops during a year and knowing a played an important part in that. I look forward to this journey of caring for your child. 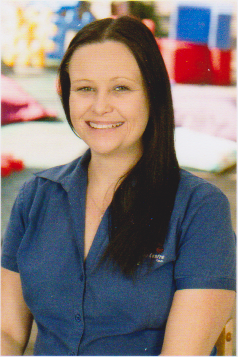 I started at Jesmond Early Education Centre in 2016 where I gained my Cert III. I have had experience in all three rooms over my time here. I am currently working in a floater position, so you will see me throughout all the rooms. Ashleigh currently has two roles at JEEC, one in the Preschool Room as an educator and also part time in the kitchen cooking.